"Apprenticeships Work! "- For Workers & Employers! ...and the Training Fund can help you establish your first health or human services Apprenticeship Program today! 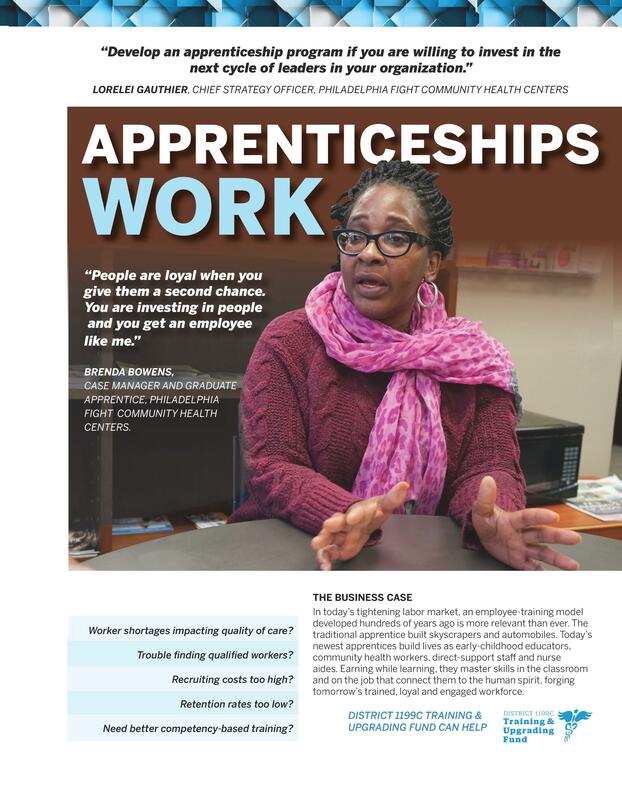 The District 1199C Training & Upgrading Fund has helped Pennsylvania employers across all sectors and sizes establish trailblazing new Registered Apprenticeship programs to build workers' skills, increase retention and staff loyalty, and improve patient/client care. Click the link below to learn more today! Learn more about the Training Fund's Apprenticeship partnerships! *** Bridge Classes: Prepare for future Apprenticeship opportunities!